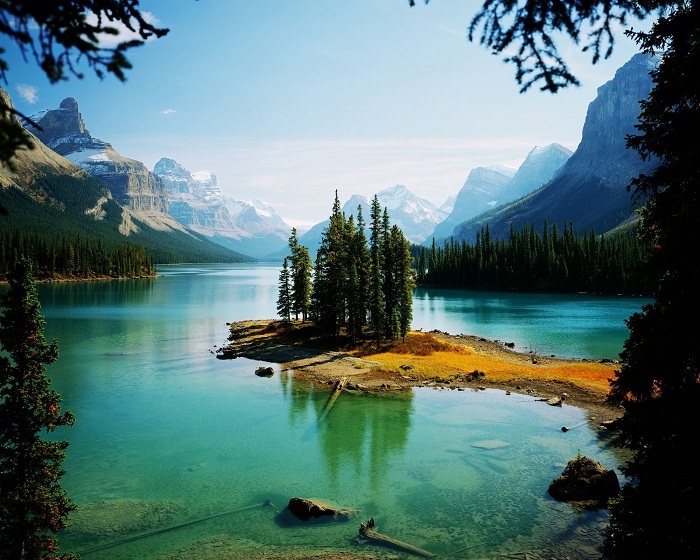 Spirit Island is a small tied island that can be found in the central part of the long Maligne Lake which is part of the Jasper National Park, in the Province of Alberta, within Canada. 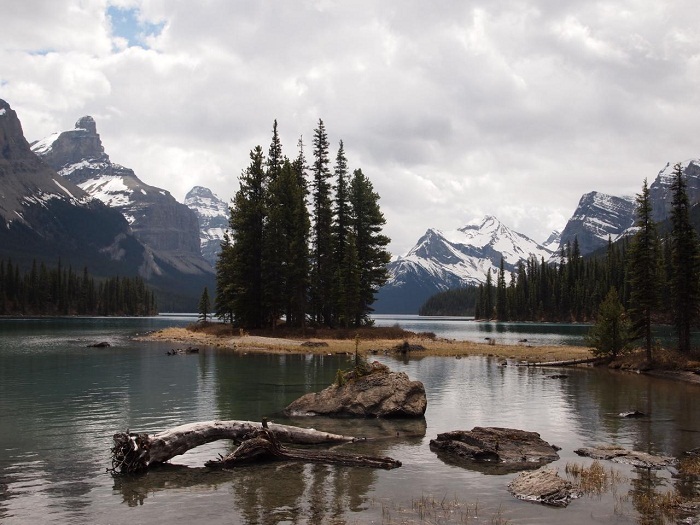 Being one of the most interesting, yet very famous and photographed place of the Canadian Rockies, this tiny island enjoys worldwide reputation which is waiting for visitors to start discovering its amazing beauty in person. 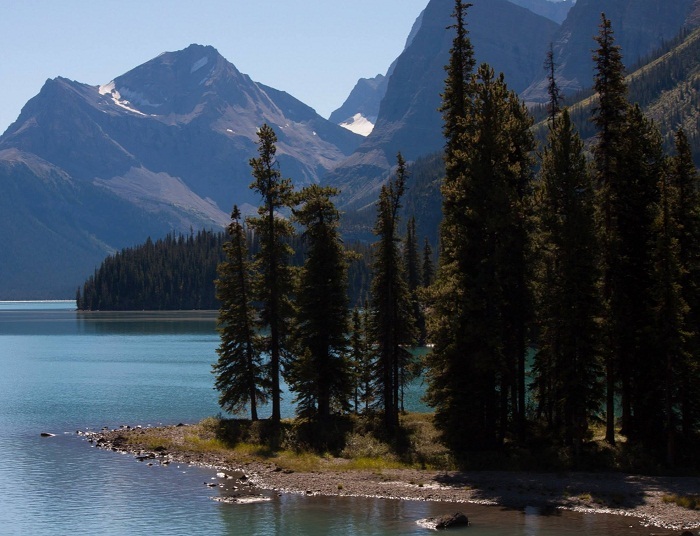 Surrounded by crystal blue water, there are plenty of untold stories from the local Stoney Nakoda First Nation who adore it, and even Apple Company during their launch of the 2014 iPad model, showcased photo of the island. 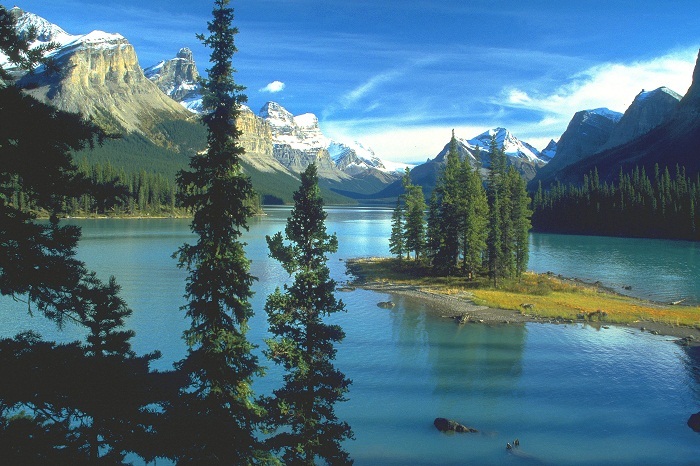 Even though Spirit Island is considered to be an island, in reality, most of the time it is not. In spring time, during the melting of the snow and heavy rains, the water level of the lake rises enough to cut the island off the shore, while the rest of the year, it is a small peninsula. As it is surrounded by three sides by the same mountain, it makes it very unique, however, since it is difficult to get to it, the only option is the tour boats that are leaving from the docks at Home Bay. 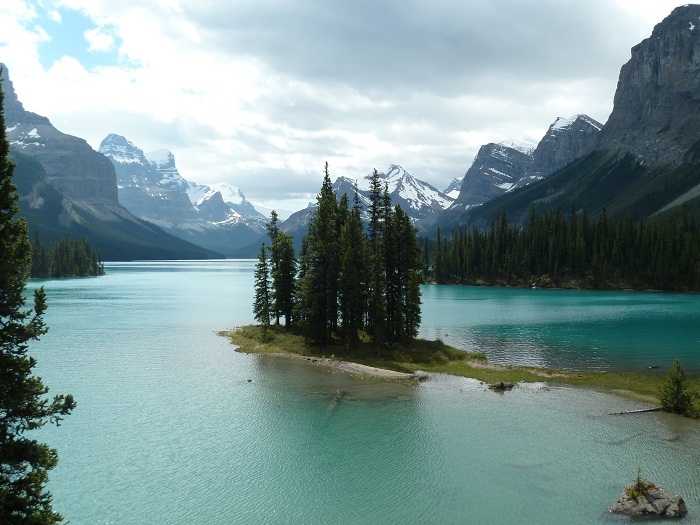 There is of course the option to paddle to get to the island, nevertheless, it is a bit further away than it appears and it can take up to 4 hours each way. 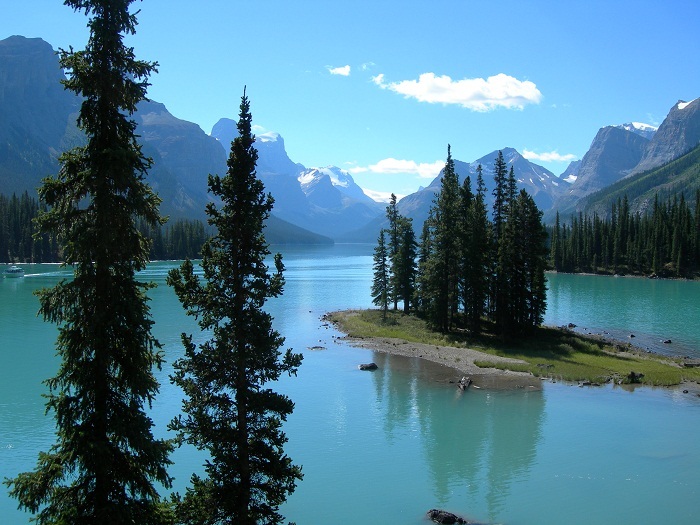 All in all, a true natural landmark of Canada, Spirit Island is constantly put on the attractive must-visit places in the country and it shall continue to be well visited one.